Bella is shaping up up for another season of Strictly, Ant's Ex - Lisa’s is in tears over his getaway with his new beau, plus lots more celeb gossip. 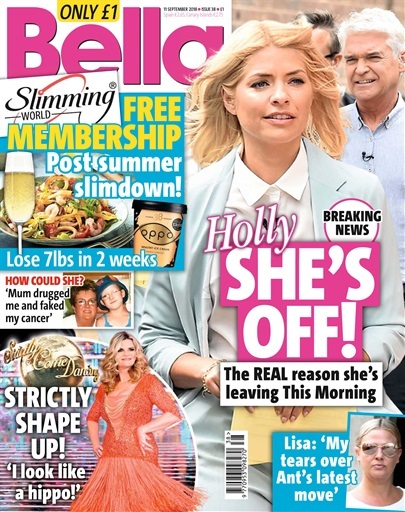 Holly’s is leaving This Morning for the Jungle and we look at the slimmed-down male stars and why Joanna Lumley's good looks are more than just fabulous: ‘Looking good? It’s just heavy make-up!’.. she says.